Ever had one of those moments where you met someone and there was an immediate connection? 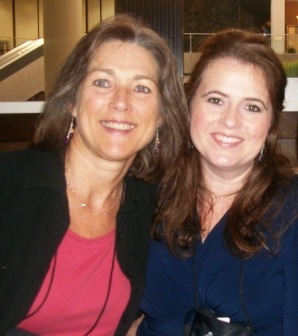 Well, I had that wonderful experience when I met author Audra Harders at ACFW last year. I’d not had an opportunity to connect with her alot before ACFW, but once I met her…it was love at first hug. She is absolutely wonderful! Sweet, encouraging, and someone who knows how to pray. Audra kind of took me under her wing, and I can’t tell you what a joy and comfort it was. I can’t say how blessed I was to have met her and now call her my friend. Let’s here about Audra’s inspiration. 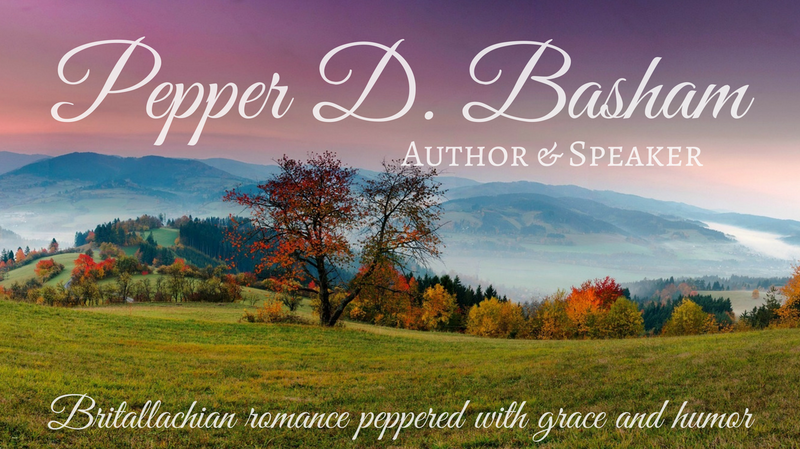 Pepper, thanks for the invitation to share my writing thoughts. You have a good idea of how my mind works and you still asked me to join the fun. Brave girl. Just for that, you’ve earned some chocolates, LOL! My very first novel? Oh my that was a tomb of epic proportions and all the while I was trying to create an historical novel ala Kathleen Woodiwiss. Silly me. Still, I loved historical romances and wrote several of them, never quite finding my own voice. And then I discovered country singer/rodeo cowboy Chris LeDoux and his songs/ballads. This is really where the story begins. All his songs tell a story of some aspect of cowboy and rodeo life. And he has the dreamiest voice, I could listen to the man sing for hours on end. The good Lord called him home way too early. I’m still shaking my head over that. The Son stands first in the line of humanity he restored. We see the original and intended shape of our lives there in him. After God made that decision of what his children should be like, he followed it up by calling people by name. After he called them by name, he set them on a solid basis with himself. And then, after getting them established, he stayed with them to the end, gloriously completing what he had begun. Do you ever wonder what your story is? Life ever get so confusing or convoluted that you can tell which way is up? Well, you’re not alone. We’ve all been there. The great thing about it is – God has been writing your story from the beginning of time. Without Christ, the view of our lives is worse that convoluted and confusing. It’s chaos. We are utterly lost in the middle of a story with splashes of black ink colored pages, crinkled with sin. We are a lost, horrible story. Until Jesus picks up the pen. In an amazing act of love and grace, he rewrites our torn and tattered pages of brokenness and selfishness. From the beginning of His story in our lives, though there will be conflict, trials, and hardship, there is an overarching theme of love – and a ‘glorious’ ending. The story of our lives, covered with God’s fingerprints and Christ’s blood, wrapped in the cover of love, assures us of a happy ending. he is fine in his boots, jeans and hat! My husband may not be a cowboy, but he’s an old fashioned, hard working, God fearing, red neck who puts up with my obsession with cowboys and even buys the tickets when the PBR comes anywhere close to town, LOL! God is great, isn’t he, KC? Even when I’ve been home almost all week with sick kiddos. Cuddle time can’t be beat, despite the messes of obscene proportions!!! Hang in there, Pepper! Pepper, have you ever stopped and read the stuff you write? Wow, you are a blessing to folks on SO many levels. We have wintery morning here in Colorado, so I’ve brought fresh blueberry pancakes and hot maple syrup for anyone stoppping in for a quick read and snack. No reason to face the cold day hungry!! I hope it was a blessing to you. When I get to share about the opportunity to meet you, Julie, Myra, and Mary – it was like finding people I’d always wanted to know. And, Lor willing, I’ll have a chance to see you guys again in September. I’m saving!!! And praying. 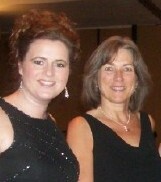 Uh, yeah, as a matter of fact, with none other than Audra herself, seven years ago at an ACFW 2004 conference. I fell in love with this amazing woman then, and then again last year, when our friendship deepened at ACFW 2010. “Sweet, wonderful, encouraging” … all words describe Audra to a T, along with humble, talented, fun and a downright hoot. 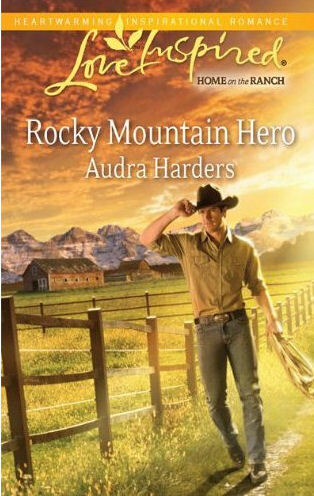 LOVE the whole cowboy thing, Audra, ESPECIALLY in Rocky Mountain Hero, my friend — one of the BEST books I’ve read, not just this year since this is only February, but last year too!! Of course, I gotta tell you, kiddo, gypsies are sounding real good to me right now as well … But then, I’m pretty sure I’d like ANYthing you’d write, girlfriend! AND we seem to have a theme going here. Julie introduced me to Patti Lacy over lunch in Indianapolis. What is it with establishing incredible friendships over meals?? Anyway, much like you, Pepper, Patti has been a blessing to me, too. Oooo, now you’re making me drool for St Louis!!! I’m writing a family saga series like yours. Well, not exactly like yours, but I started it 4 years ago. It’s my contemp romance (Eisley & Wes) and Eisley’s crazy Jenkins family. I LOVE writing and reading it. And I love all the chaos of large families. The series is up to 6 books (in the outlining and plotting phases). Oh what fun!! Until Jesus picked up the pen. Oh what a line Pep. So perfect for my day, seems to be one of “those” weeks this time around. Casey, absolutely!! Hugs are doled out in great quantity!